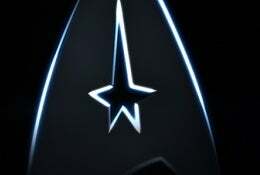 We saw the teaser trailer and then we saw what looked to be a very very early version of the full trailer – It showed more footage of Quito as Spock, much more Chris Pine and also some John Cho and Simon Pegg footage. The film looks like immense fun and there seems to be a lot of action in it. There look of the crew and the bridge is spot on and the costumes look like the original but with a more modern and practical twist. We got to see Spock talking to his parent as well and Kirk being told to take more responsibility. There were also a lot of montage scenes involves spaceship battles, gun fights and hand to hand combat. I especially like a short clip where we see the crew running through the corridors of the Enterprise – reminded me of next generation loads.